The older I get the harder it is to remember stuff. There was a time that I could repeat the title of every song on every Queen and Led Zeppelin album–in order and chronologically. Now I’m lucky if I can pull “you know, the one with the triangle solo” or “the one with the black thing on it” out of my hat (if you’re a Queen or Zeppelin fan you’ll know exactly what I’m talking about). Remembering stuff is hard, but so is thinking of new ways to do stuff. I’ve always been an out of the box thinker and always willing to do something in a new way, but age has tarnished this to some degree. I get stuck in ruts of thought. Like the time I needed to stop at the ATM and got it in my head that I had to go to one specific bank to do this (which wasn’t local) and then felt like an idiot when my friend said, “We live in New York, there’s a bank on every flipping corner; go to any bank!” DUH! And it’s this way with everything these days. Take pain, for instance. You get a headache, you grab something and eliminate it. You have a migraine, you grab the ice pack, take something, hunker down and it goes eventually. Stub your toe? Scream expletives and deal. Burn your finger? Scream expletives and run cold water over it. Even though I’ve dealt with semi-chronic lower back pain for some thirty years, I always knew that eventually it would go away once I took some anti-inflammatory meds or grabbed an ice pack for twenty minutes. 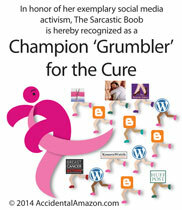 Thank you, cancer, for throwing a wrench into the Scorchy Pain Landscape. With this lower spine metastasis, pain is redefined. It’s territory uncharted and, like everything else with this freaking disease, something I need to learn about just at the time I can hardly keep what I’ve got in my head and ready for recall on a good day. I was out of the office for the entire week, felled by chronic back pain and muscle spasms. And I approached it as I always did, the label said two tabs every six hours so I made sure I didn’t take anything before six hours was up. But it wasn’t working. By Wednesday I was pretty down in the dumps. This is when it pays to have friends who know things; like my friend Grace, a smarty-pants PharmD who will probably be on NOVA someday. When I can’t get help or understand something specific to pharmacology, I connect with Grace. I woke up at 2:00 am on Thursday with back spasms that began to accompany the constant dull ache in my lower back. I was out of my mind with disgust. I had pain meds, but they didn’t seem to be helping me in the long term. I was losing precious time from work to lead a critical project, and stuck on my couch. It was time to contact Dr. Grace. It was 2:00 am, so I fired off an email with the subject line “HELP!” I presented my plight and asked her to do some research on Tamoxifen since I was sure that was the cause of my problems. A whole new ball game and not the way I always interpreted chronic pain before. As it turns out, I never really had chronic pain. Rather, I had a chronic injury that produced intermittent bouts of pain. Chronic pain was a whole new ballgame. With this new understanding I set out to learn about chronic pain. Let me introduce you to the ladder for chronic pain management in adults with cancer. 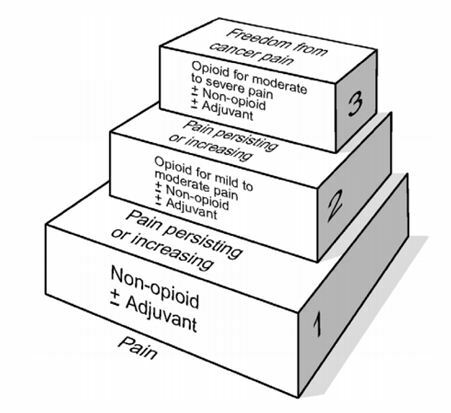 Pain is addressed first with non-opioids for persistent symptoms (level one) and, as pain increases, opioids are administered for mild to moderate pain to severe pain (levels 2 and 3). There may or may not be NSAIDS or other medications administered with the opioids to increase overall effectiveness, and other medications still to address depression or anxiety that accompanies the pain. To maintain freedom from pain, drugs are taken by the clock every 3-6 hours. The idea of taking medication in regular and consistent intervals for pain was a new one on me; and, in retrospect, it seems silly that it wasn’t more obvious. Thinking in a rut, I was. So on Thursday I began taking my Tylenol with Codeine every six hours as directed on the label (it did not say “as needed,” by the way). And I’ve noticed a difference as I write this in the wee hours of Friday morning. The pain is more controlled and I’m not going through these cycles of misery and frustration multiple times throughout the day. Now, whether I think need it or not, I take it on schedule–just as I would with an antibiotic. Just as I do with the Tamoxifen that I take every evening at 6:00 pm without fail. And then I remembered that my oncologist told me to not only take this every six hours, but to take Ibuprofen in between. Why didn’t I remember this? Because I was thinking in a rut. I forget sometimes that what I have is not an old injury that produces pain of varying levels based on my level of activity or the weather. It’s cancer. It’s not going anywhere and I need to learn how to manage what is literally a new way of life. And just when I was enjoying the process of getting set in my ways. 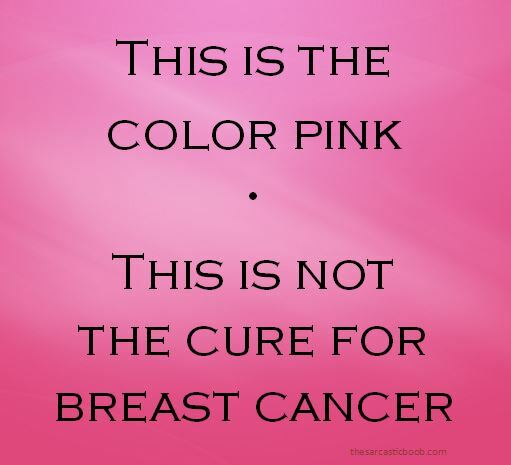 This entry was posted in My Stage IV Life, Stage IV Musings and tagged Attitude, breast cancer, chronic pain, Death Star, friends, ladder for chronic pain management in adults with cancer, metastasis, metastatic breast cancer, opioids, pain, pain management, Stage IV, stage iv breast cancer, support, Treatment, Tylenol with Codeine. Bookmark the permalink. I have also run smack dab into this rut and fell in head first this week. I started chemo, (yes the “bad” kind) and then took the medication that was ordered called Neulasta. They warned me that this kind of medication meant that after I shot myself up with it to prevent life threatening infections, I would have horrendous “bone pain”. Hah! Bone pain you say? I have had back pain for 15 years…blown discs, etc. I have had natural childbirth and mastectomies and….well. I was wrong. Today, when everything I knew to do didn’t work, I called the kind onc nurse who gently verbally patted me on the head and called me in a narcotic to go with my limping, tylenol, advil, heat pack, ice pack, “zombie shuffling” (thanks to my 5 year old for that one) self. And you’ll never guess what?! My pain is BETTER!! How weird is that?! Not the same thing, I know, but someone else is learning as they go. Just wanted you to know. I know, right? I was always pretty cocky re: my high pain threshold, but the bone pain was a new ballgame. But that’s what we do: learn as we go. 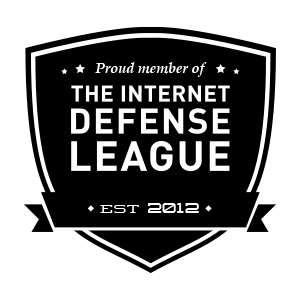 Everyday I am grateful that we have the advantage of a virtual (and no less real) support network to help one another. In that I count us lucky! There are many ways to control pain in the arsenal of pain medications and as you have learned it’s best to stay ahead of the pain. I hope this regimen continues to work for you, and remember if it isn’t doing the job, you can immediately find something that will. I totally understood when you thought it was the tamoxifen. I wanted to blame that drug for everything! My favorite was when you posted the list of things you can do with that drug! I was a little disappointed that it wasn’t TFuck. Okay, a lot disappointed that it wasn’t TFuck. I am hoping that once the doc is satisfied with new PET scan results that we can move onto some other remedy–perhaps rads to the area. Hard to walk around drugged. Susan – I have been on T since March. I blame it for everything that ails me. Especially the insomnia. Tried everything to no avail. Any thoughts? Fingers crossed your new regimen gives you some much needed relief. I live with constant pain from RA, Fibromyalgia, degenerating disks in my back. However I love, love, love, love my pain patches. I have two kinds. One of them is called Butrans which has an opiate in it. You put on and it last for 7 days – comes in three different doses. Then for specific area pain I have giant Lidoderm patches that I can use 12 hours on, 12 hours off. Then I have tramadol for when I do something stupid like try to reach for something or stand up for too long. With the pain patches my tiny little chemo brain doesn’t have to remember to take pills at specific intervals. Good luck to you. See? I’m learning new stuff every day! And I am in awe of the advances in pain management. Thanks, Caroline. And good luck to you too!